Through June 3rd to 11th, Kajitsu holds an exhibition of a young Japanese ceramic artist, Kai Tsujimura. It is a joint event with Koichi Yanagi Oriental Fine Arts. During this exhibition, Kajitsu presents Tsujimura’s plates (small and large) and sake vessels. Kai Tsujimura's ceramics are known for their unique texture and form. The more you use his piece, the better texture it gets. Ceramics with which food is served are essential part of Japanese cuisine. Many notable Japanese restaurants use Tsujimura’s ceramics. 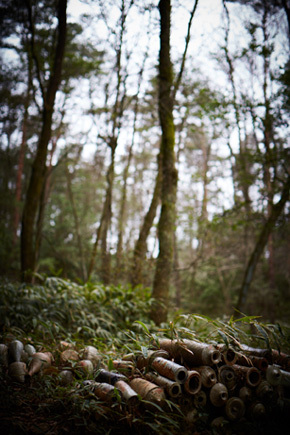 We hope you will enjoy the art of Kai Tsujimura’s ceramics. Kai Tsujimura was born in 1976 as a second son of Shiro Tsujimura, an internationally renowned ceramic artist. 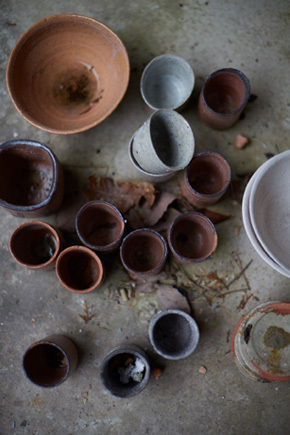 In 1994, he began study of pottery-making with his father, and in 2000, built his own kiln, house, and studio in the middle of mountains in Sakuraito begin his career as an independent potter. Kai enjoys the wood-burning firings, especially its unanticipated results. His works are marked by their unique vigor and spontaneity.